Hinduism: gods, beliefs, symbols, practices..
From the ancient times Indian religion is known as Sanatana Dharma (sanatana=Eternal; dharma≈religion/ or that which leads to liberation) by the followers of the religion. They call it the Santana Dharma because they believe it is the same spiritual path that every person no matter how different they are is bound to follow, it is based on the belief that every soul evolves from lower consciousness towards higher until it finally attains liberation from rebirth or oneness with the universal soul (parabrahman or consciousness). Hinduism is not particularly rigid on the practices but on the principal that there is liberation and it is the ultimate there is. There have been numerous practices which are associated with Hinduism like Pooja (worship), Prarthana (prayer), japa, Bhajan (chanting). Guru prescribes suitable practices for disciple's evolvement, thus there are no rituals that are must for a spiritual aspirant in this religion. With the decline of age (there are 4 ages Satya, Treta, Dwapara, Kali) It is believed that in lower ages people have no strength to understand purpose of spirituality, thus practices become major focus rather than the spiritual evolvement. However good practices are said to bind the aspirant in the right direction, thus many enlightened gurus themselves practice usual practices like prayer, worship, meditation and satsangs. 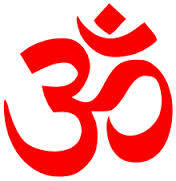 Hinduism according to hindu scriptures has been in existance for more than 10,000 years [note 1]. 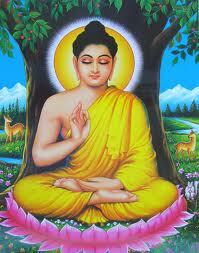 Researchers commonly agree that the hinduism has been in existance from 2000 BC. According to hindu philosophy physical worlds which include universes, galaxies and solar systems appear 'during the day of Brahma' and merge back into consciousness during the 'night of Brahma'. Hindus believe there have been innumerable cycles of day/ night of Brahma. In the Hindu scriptures there are references to time before this day/ night cycle of Brahma [note 2], It is said that the Sanatana Dharma has been in existance in every day of the Brahma. 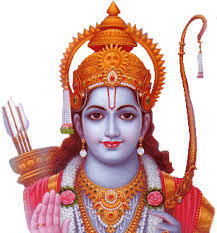 Lord Rama is the significant personality of TretaYuga. It is safe to say Vasishta, Vishwamitra, Valmiki and some other renowned sages also lived during This age. Teachings of Vasishta to Rama which is now known as 'Yoga Vasishta' is one of the highly appreciated spiritual books of Hinduism. Ashtavakra Gita is another notable contribution. Lord Krishna incarnated on earth during the transiation of DwaparaYuga into Kaliyuga. His teachings to Arjuna are the pillars of Hindu philosophy. Lord Krishna's discussion with Arjuna on the battle field is known as 'Bhagavad Gita' (The song of the God). Bhagavad Gita has the essense of all prehistoric teachings like Upanishads, thus considered the firm base of Hindu philosophy. After Buddhism and Jainism gained promonance, people of that time did not give prominance to Upanishads, Gita and other practices from the ancient times. Shankaracharya re-emphasized the value of ancient wisdom. Dnyaneshwar 1275–1296 Sant Dnyaneshwar interpreted Bhagavad Gita into Marathi, in common man's words. 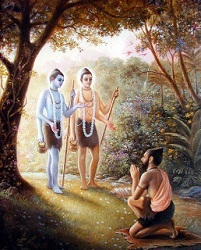 During his time asceticism, Rituals and caste system were misunderstood and wrongly practiced. He started Varkari Bhakti movement in the Maharashtra region. Kabir being an householder achieved higher levels of realization which are even unattainable by ascetics and monks, he gave hope to the householders. Kabir's prominent works are his poems and songs. Which are still highly valued and sung. Through these 'two lined' poems he has made it easy for even a common man to understand higher philosophies and ancient knowledge. Chaitanya Mahaprabhu 1486-1534 Chaitanya Mahaprabu being a great scholor himself, gave importance to Devotion, the movement he started is now very popular. ISKCON is continuing his works. Paramahansa Yogananda popularized KriyaYoga in the west and in India. Paramahansa Yogananda's works have a common goal of uniting the religions of the west and the east through common spiritual relaities, Christianity and Hinduism in particular. Note: There are four Yugas: SatyaYuga, TretaYuga, DwaparaYuga and Kaliyuga, they are said to span for 4800, 3600, 2400 and 1200 years respectively. SriYukteswar Giri, guru of Paramahansa Yogananda writes in his book 'The Holy Science' that the yugas are actually in Human years and must not be calculated in the demigods'. A day of demigods is approximately equal to an year on earth thus wrong calculation gives us 432,000 years of Kaliyuga, which is not proper. There aren't definite number of sects in Hinduism, Each cultural group has its own practices. Below are few sects which are prominent among them. 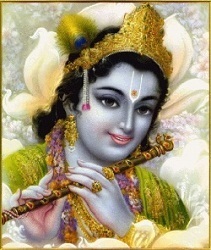 Vaishnava: Vishnu, avatars of Vishnu are worshipped as the form of supreme God. Mahabharata, one of the two Indian classic epics depicts the lives of sages who lived in satya yoga, tracing back to those stories we get those years to be 4800+3600+2400+1200 years from now i.e around 10,000 years in this yuga cycle. For example in Yoga Vasishta there is a story of Sage Vasishta meeting Busunda the enlightened crow where day and night of Brahma are discussed. Buddha, Mahavira, Guru Nanak are all considered in the history of the Hinduism because each of them either gave a new expression or re-emphasized/ de-emphasized certain practices. Their contributions to spirituality are significant, and the core of Sanatana Dharma is its spirituality.